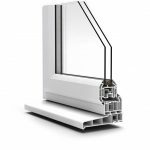 Profile 22 windows are available in a variety of styles, colours, functions and finishes to ensure that your home not only feels safer, warmer and more energy efficient, but also looks attractive and in keeping with your current style of house. 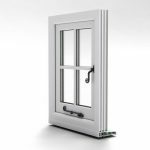 Thermally enhanced, double or triple glazed casement windows that can hinge from the top, side or bottom and open outwards. Profile 22 casement windows conform to strict British Standard specifications, and are manufactured to the highest levels, giving you greater thermal and acoustic efficiency. 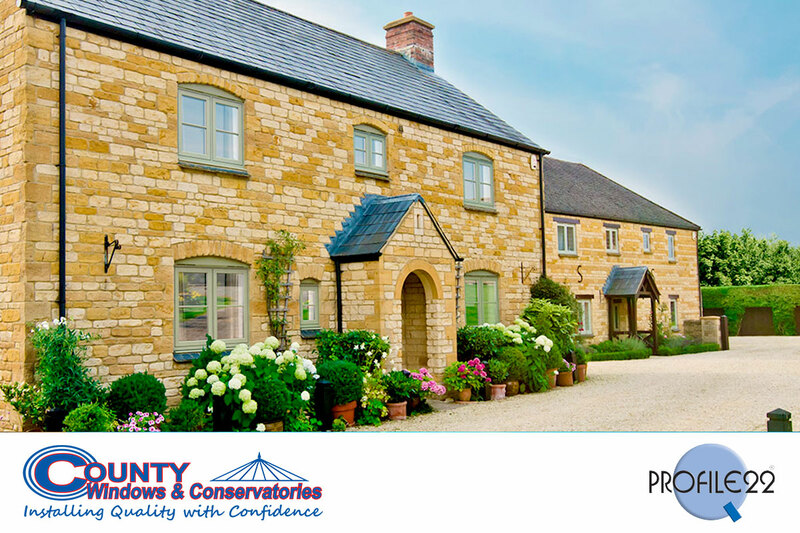 Whether you want a contemporary look or prefer a more traditional design, you can dictate your style and choose windows that will complement your existing home while benefiting from additional security and reduced energy bills. The simple lines are ideal for older, heritage properties, but flush casement windows also look great when paired with more contemporary and minimalist architectural styles. The design classic with its outwards opening panes will never go out of style. From a simple arrangement with a single opener to a beautiful bay window arrangement, flush casement windows suit so many homes and building types. Tilt & turn windows from Profile 22 come in a choice of opening combinations including single or multi-panes, so that you can achieve a look that complements your existing home. There is also a wide selection of colours and finishes to choose from, including white, woodgrain on white and woodgrain. Tilt & turn windows open inwards, tilting along a hinge at the base. Held on secure stays, the aperture is perfect for draught-free ventilation. Push the window closed, turn the handle again and the hinges shift to the side. This clever engineering creates a window that can swing into your room fully, allowing you to clean the exterior glass safely. 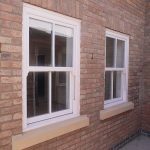 Vertical sliding sash windows that re-create the gorgeous look of the original style, with all the trappings of a modern, secure, energy-efficient window design. Our sash windows are sturdier than their predecessor, they don’t let in the rain or rattle in the wind. Profile 22 have developed the design so that there are no sash cords to break, no timber to rot, swell or warp, just smooth, easy-glide balance mechanisms. When you want to clean the windows, the panes tilt into your home. 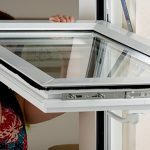 With added security features, pile seals and double glazing for warmth and reduced energy bills. The good news is that these sash windows can achieve a very comforting A+ Window Energy Rating.